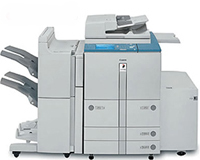 We focus on "service beyond the sale"
Since 1988 Masterfax & Copier Source has provided hundreds of D.C. area businesses with the sale, lease and rental of the highest quality copier, fax, scanner and printer equipment available - all at affordable prices and backed by peerless service and support. We keep working until you're satisfied - and then we continue working to ensure your equipment runs worry-free. Retention of our customers is very important to us. We nurture and care about you and your business.